Welcome Home! If you are looking for privacy, you have found it! This beautiful 4/3 ranch is located on a 3.3 acre wooded lot. The home features a beautiful front porch and a full covered and screened porch so you can enjoy the beautiful nature that surrounds you. The open floor plan has a huge Great Room with French Doors that lead you to the back porch. It is also open to the kitchen and dinette so its a great place for family and friends to gather. The home also has a split bedroom plan with large secondary bedrooms, one is a second master suite with a door to the patio. The master bedroom has plenty of room and the spa-like master bath features a beautiful soaking tub with a separate shower and dual sinks. And this home features plenty of storage space. There is a 3 car garage and the attic area is fully decked so you can store plenty up there. 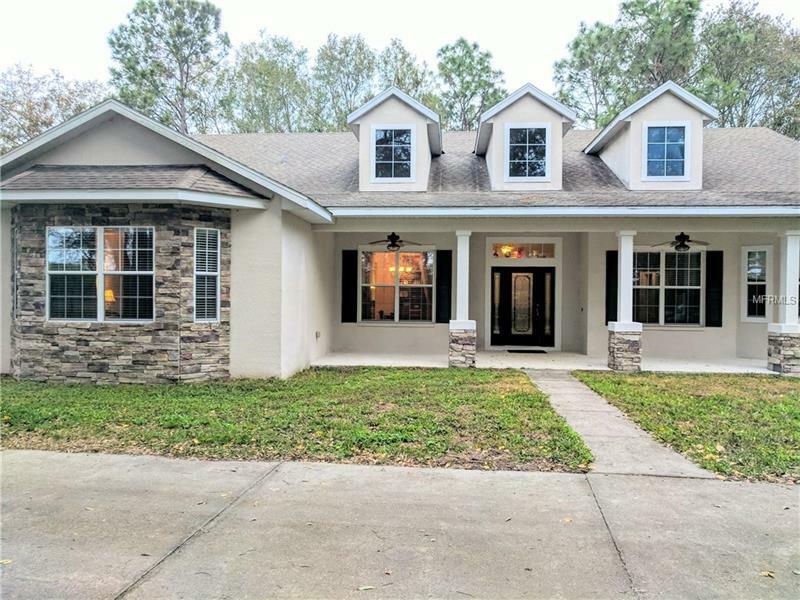 This beautiful home will not last long! Schedule your viewing today!